Bronzy-yellow flowers with a copper centre, 4cm. across. A very unusual old variety. Rich cream highly scented flowers. Good vigorous habit. 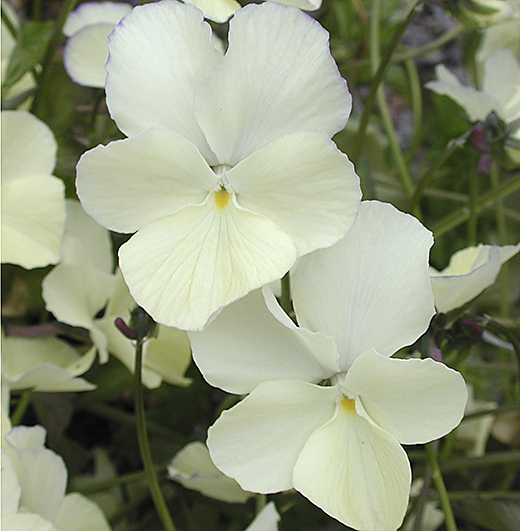 Probably the best cream Viola available. 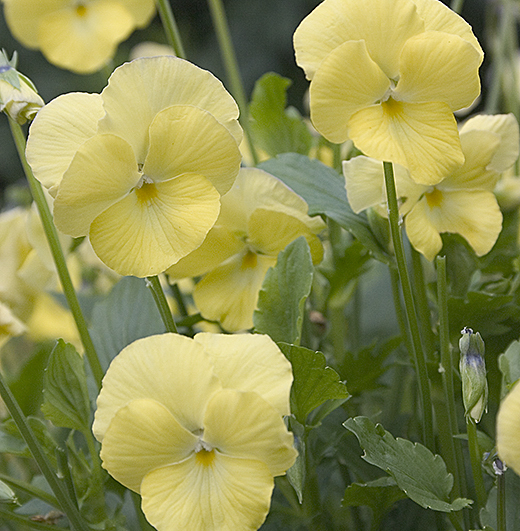 Bright lemon-yellow scented flowers from early summer 'till autumn. 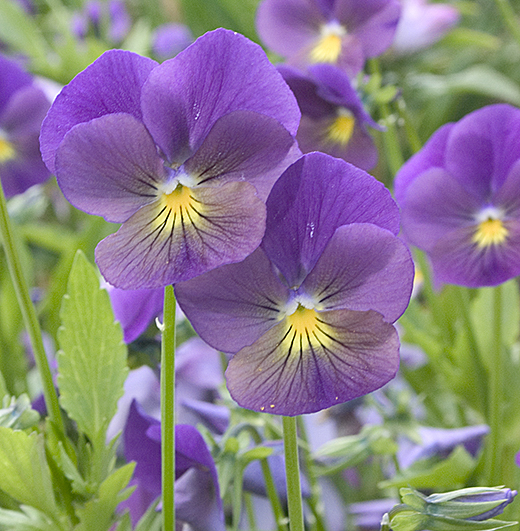 Reputed to be the best and most perennial yellow Viola. Slightly frilled flowers, 3cm. across, of a beautiful clear mid-blue with a yellow eye. Flowers so profusely the foliage is entirely covered. Makes neat compact clumps. 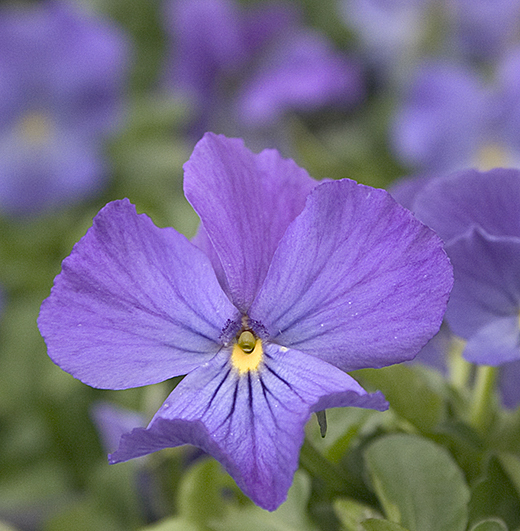 Elongated deep purple flowers with a white eye. Very vigorous & perennial. Makes enormous clumps. Vigorous and long lived perennial habit, masses of pale blue flowers fading to white in the centre, from May until the frosts. 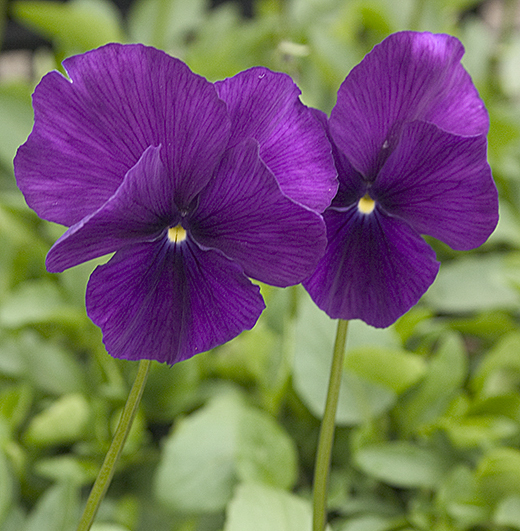 A strongly scented Viola, purple flowers suffused with dusky pink and a contrasting yellow eye. Unusual and vigorous. Clumps 35-40cm. across. Highly scented silvery-mauve flowers with a cream centre, 5cm. across. 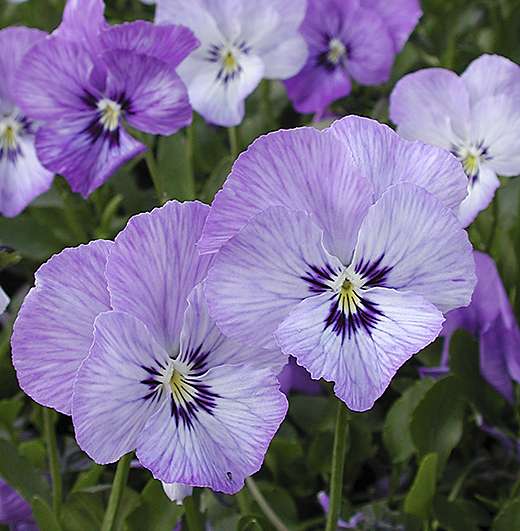 A very free flowering & popular old variety. 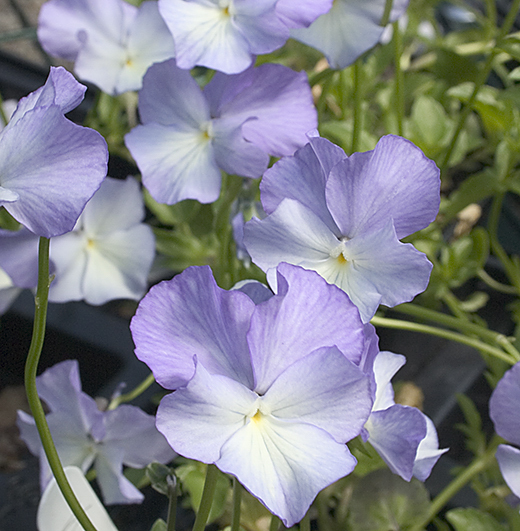 Elongated flowers, marbled pale blue with navy-blue central markings. 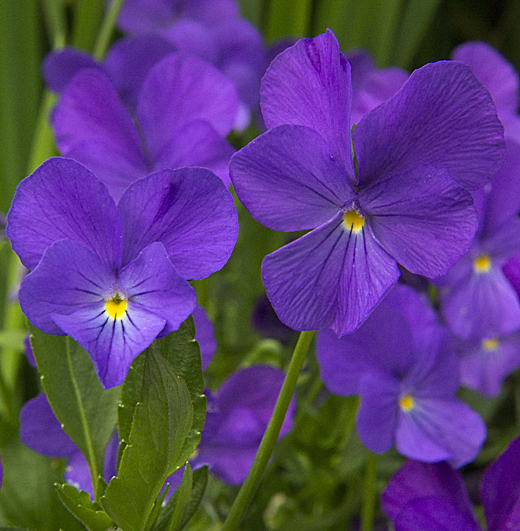 Very popular, vigorous and strongly perennial.